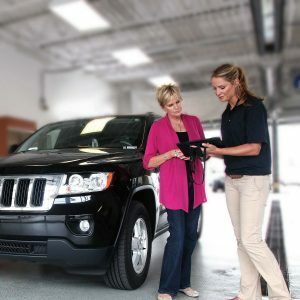 Obtain customer authorization and inspect the vehicle before making service recommendations. Openly and honestly communicate with your customers. Ask customers about driving conditions and use. Ask customers about driving habits and vehicle maintenance and repair history. Communicate maintenance service recommendations made by the vehicle manufacturer. If recommending an accelerated maintenance service that deviates from the vehicle manufacturer, explain why. Fluid Rx Diagnostics works diligently to serve our customers so that we are in compliance with the California BAR. Fluid Rx Diagnostic Test Kits and Report Cards give service advisors and their customers an opportunity to have an objective conversation about needed fluid services. This is especially important when an accelerated fluid maintenance service is needed. Our chromatographic analysis is scientifically backed and proof positive its time to change. To read a correspondence letter from the California BAR click here.